4. 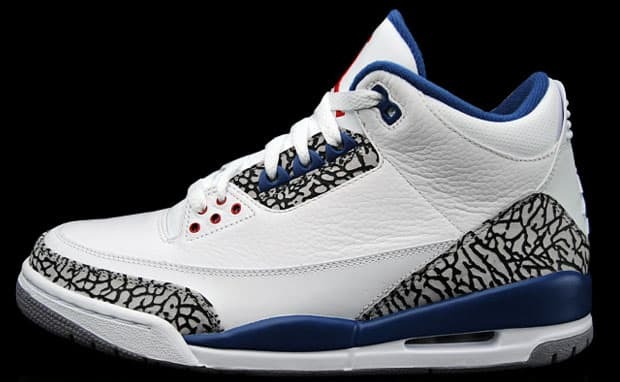 Air Jordan III "True Blue"
Joe says: " Not much explanation needed for these. I don't wear primarily white sneakers besides the True Blues. I'm in the minority, but I'd take these over the White/Cement IIIs."